It’s 1969. Jolie stands on the deck of her parents’ Santa Barbara home watching an uncontrolled oil spill. She’s outraged and motivated to do something about it. Jolie’s father may be an oil executive, but that doesn’t stop her from hitchhiking to the harbor and joining an anti-oil drilling protest. When a television broadcast shows her protesting, Jolie’s father prohibits any more involvement. This fuels the fire burning inside of her, and she flees home with Will, her older, activist boyfriend. Idealistic and ready for anything, Jolie follows Will and his big promises into the sixties’ cultural revolution to create a better society. Thrown into an adult world, Jolie lies about her age and identity and quickly discovers that nearly everything is more complicated than it seems on the surface—Will included. In this psychological love story, Jolie’s emotional journey from California to the East Coast, is one of pain, resilience, fear, and hope, as she navigates an increasingly controlling boyfriend and her own personal convictions. 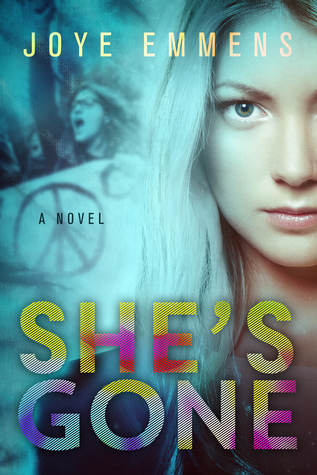 Filled with colorful settings, characters, and the music of the times, She’s Gone is an authentic and heartfelt story of self-discovery that follows a young woman’s spiritual odyssey through the domestic unrest of the Vietnam War, the start of the environmental movement, and the Women’s Liberation Movement. Many of the social and political issues continue to be relevant today. Surprisingly, in all of my reading adventures, I don't think I've ever really read about the sixties. Go figure! That being said, I may have to read more about those crazy hazy dayz...if any of them are half as good as She's Gone by Joye Emmens. The rebellious spirit of sticking it to the man, fighting against daddy's big corporate business, and finding the freedom to be yourself are all issues that teens and young adults still deal with today in some sense. Jolie is a great character. This story is really her coming of age adventure as she turns from a teenager to a young woman amongst some of the more dynamic issues of the time. While I didn't really understand her at first, the teenage angst and longing to escape from underneath your oppressive parents' roof did hit a note with me. Not that my dad was anything like Jolie's dad...but I got it. Jolie then does something I could never muster enough courage to do, and runs off with a boy to live the life she wants but can't have while at home. Her journey from that point on has a lot of fun, but also a lot of unexpected trials that she was naive enough to believe would never happen to her and Will. You could literally see her changing and growing right before your eyes which was a very cool thing. Emmens does a great job at picking apart the social upheaval that was running rampant during the 60's and 70's. Everything from the environmental protests to women's rights, to the Vietnam war...these issues shaped a generation and it was really cool to be on the ground-floor and getting a great (if fictionalized) view of how these events took place and changed the people that lived during this time. She set it back down and walked out of the house, not daring to glance back. A newer blue Camaro idled in the driveway. Will sat in the passenger seat. A young woman stood by the open driver’s door. She was dressed in pale yellow poplin shorts, a matching top, and a wide, white plastic belt. Jolie pulled the seat forward and slipped into the backseat. Pattie got in, and the car purred down the driveway. Will looked back at her and smiled his wide disarming smile. “What’s at the ranch?” Pattie said. All Jolie knew about the ranch was that it was located somewhere in the mountains of Siskiyou County, in Northern California. So this was how it was going to be. She was already lying about her age. She put her head back and closed her eyes. The engine’s steady hum and vibration cradled her as Pattie drove north on the 101 freeway. Will periodically reached back and squeezed her hand. They stopped only for gas and food. More than once, Jolie caught Pattie’s concerned gaze in the rearview mirror. If Pattie suspected she wasn’t eighteen, would everyone else? Joye Emmens was born in Santa Barbara, California. She enjoyed a successful career in environmental health before joining Amgen, a biotechnology company that researches and develops cures for serious illnesses. After ten years, she left Amgen to pursue a lifelong dream to write fiction. She lives in Ventura, California with her husband. Her two sons and grandson live in Seattle. Joye volunteers as a Big Sister and mentor with the Big Brothers Big Sisters of America. Joye will be awarding a $25 Amazon or B/N GC to a randomly drawn winner via rafflecopter during the tour. Loved the review. I remember those days. You are right. Almost nothing was written about the 60's. Thanks MomJane! The novel is historically accurate. A lot was going on then including great music which is included throughout. Thank you for hosting and reviewing She's Gone! No problemo! Thanks for visiting! What are you up to today? She's Gone starts with the 1969 oil spill in the Santa Barbara Channel and all of the devastation. Unfortunately an oil spill in the same area occurred yesterday May 19 and the aftermath is devastating. They are cleaning it up the same way...with shovels and plastic bags. So many dead birds and fish. It's so sad. Love the cover, thanks for the giveaway! I like the synopsis, sounds like a great read. Check out my website for more info and reviews. Readers really cheer for Jolie on her journey. Thanks for checking out the book. Terrific post! How long have you been writing? Thank you Betty! I started writing seriously in 2011. I'm working on my next book. Hopefully it won't take three years to write! Thank you! Check out Amazon or my website for additional reviews. The 60's is an interesting time period. It was an interesting time. Some major gains were made with the environment and women's rights although some things haven't changed all that much! Thanks for all of your comments. Please contact me through my website if you want to talk about the book or anything! The cover is quite nice and the excerpt was intriguing. 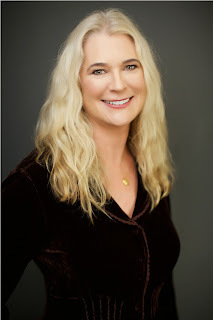 "... After ten years, she left Amgen to pursue a lifelong dream to write fiction." That's AWESOME! I always like to hear about people fulfilling their long-awaited dreams. Congratulations! This cover is so pretty. Historical fiction is great. I now I would enjoy this ! I attended UCSB in the 70's and this brings back memories! Thank you. It sounds really great, thank you.